Vanguard Miniatures produce a range of sci-fi miniatures in various different scales. Their popular Defeat in Detail range is available in several different scales, probably most notably in 6mm. 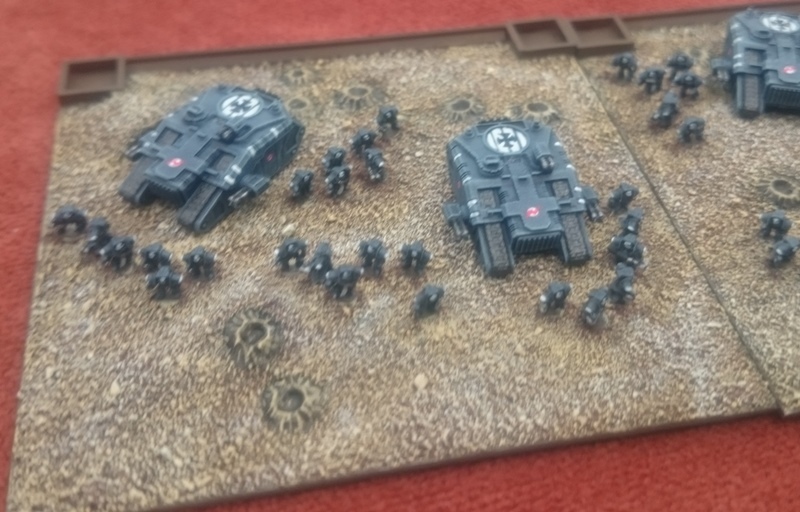 Whilst 6mm is a fairly standard scale for fighting large battles, what if you wanted to fight really huge battles? Whilst the 6mm miniatures are very tempting, I really like the diorama-style basing with the smaller scale (I’m thinking of the same sort of thing for Rommel). The new 3mm range is due for release in September 2017, and are definitely being added my shopping list. Hopefully the bases will also be available (the bases in the pictures are 75mm x 75mm). I believe 3mm may also be coming from microworld games.